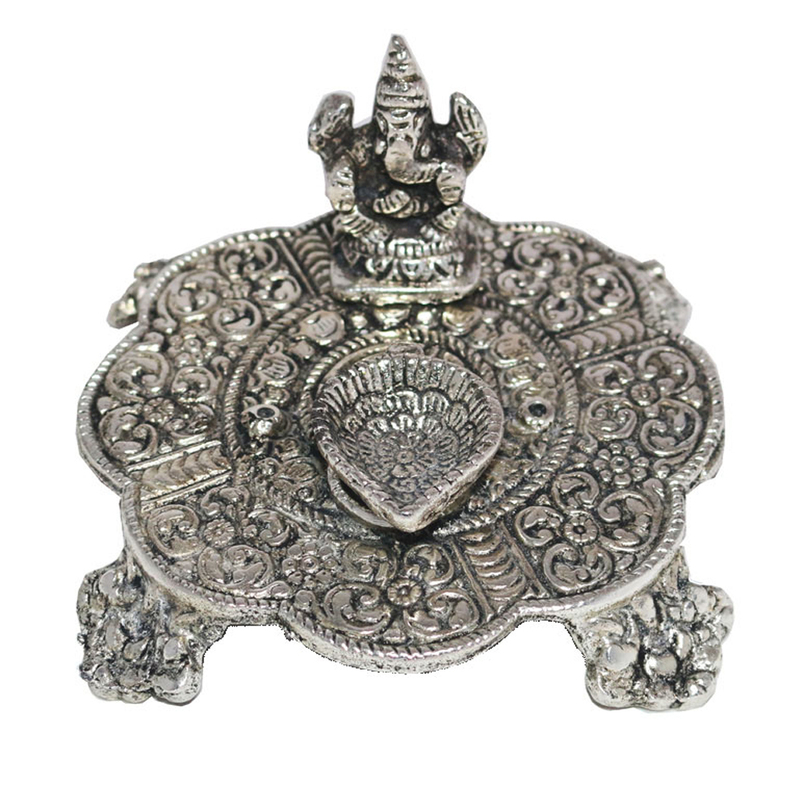 The delightful Ganesh icon made of structure strong oxidized silver and put on a sublime chowki created of the same metal and decorated with mind Read More..boggling self cutting will add to reverential part of your home sanctuary. The little silver diya put before the statue finishes the religious look. Show Less..